Description: The tree reaches a height of 25 feet. This is probably a cultivated apple tree that became wild. It is found in glades, hedges and small tree groups. The leaves are dark green and lightly serrated. 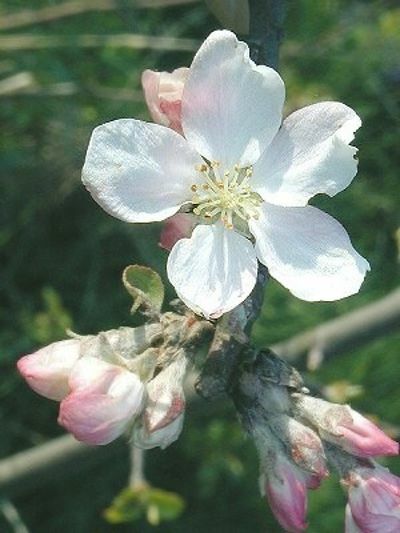 The fragrant five-petaled blossoms bloom in April / May. The small golden-colored apples have a tart, sometimes bitter taste.